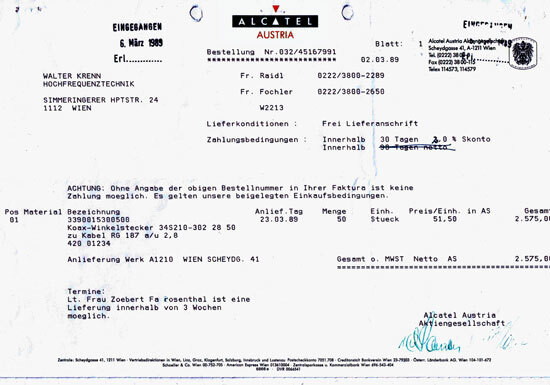 1989 – Foundation of Walter Krenn Hochfrequenztechnik GmbH as an import and export trading company with Rosenberger Hochfrequenztechnik GmbH as main supplier. 03/06/1989 – The first order is received and soon followed by many new customers. The beginning is small , an office with 40 square meters and a warehouse with 44sqm is rented in „Simmeringer Innovations und Gründerzentrum SIG“. 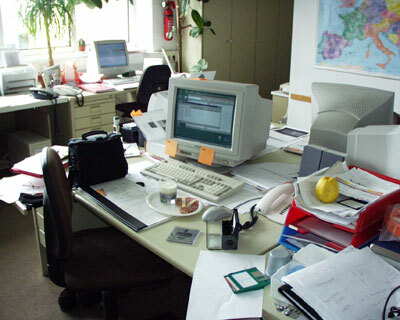 The young enterprise is progressively equipped with computer, fax , telex and electronic typewriter. Revenue grows significantly which was related also to producing prefabricated cables for the base stations of the new D- mobile network. The achieved size of the company lead to a reorganization into a limited company. 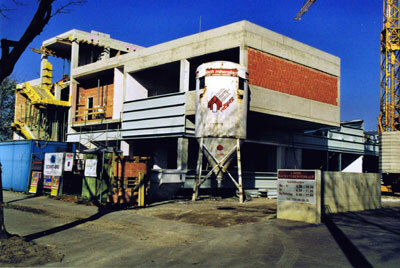 1996 – The Walter Krenn Hochfrequenztechnik GmbH is 100 % successor of Walter Krenn Hochfrequenztechnik . From the very beginning the main target is to support customer needs. A well stocked warehouse with standard connectors and cables enables to achieve this goal. Even the most unusual requirements can be fulfilled. Starting with simple modifications the company switches over to develop custom design connectors. First production lots are produced with subsuppliers. 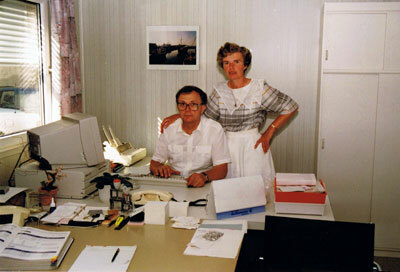 1999 the two sons joined the company . Mag. Helmut Krenn with his legal and economic training increases the sales department, while DI Günter Krenn enforces the technical department. 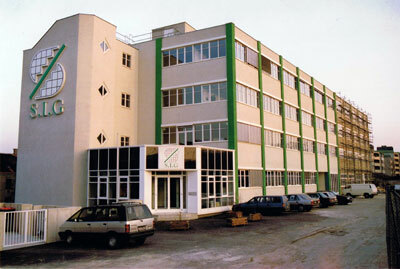 Meanwhile, the company had grown and additional workshops and warehouses which were scattered throughout the two buildings of the SIG were rented. 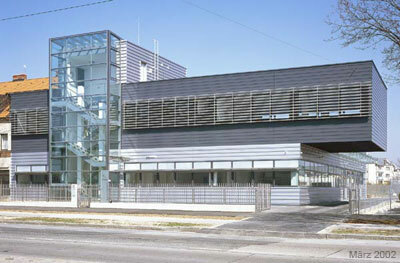 Several hundred square meters were rent on four floors in the end. It was decided to buy a new company building for the purpose of concentrating the different areas and in order to optimise production processes. 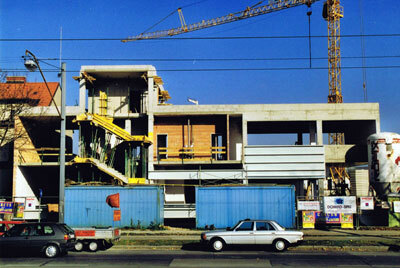 2001 – After a long search for a suitable building , it was decided to errect a new building on a greenfield site . A 2100qm plot of land in Vienna Simmering was bought from the Vienna Business Agency , ideally situated on a main arterial road , well connected by the proximity to the S1 and by public transport. The planning was carried out according to the needs with plenty of reserve for future growth. Two warehouses with a total of 400sqm offer enough space for the well-stocked warehouse , the main building with 600 sqm of floor space will house offices , workshops, cable assembly , a training room , a meeting room and a lounge. The productivity benefited immediately of the effort of moving . The clear division of work according to the logical sequence enables a high-quality production and to work in an unfamiliar calm environment.. The increased space allowed for the investment in new equipment, machinery and measuring equipment . To name a few : stripping machine , pneumatic crimping press , 50GHz network analyzer , thin sheet welding machine for welding of thin-walled ( 0.2 mm) steel connectors. Recently , the small batch production with CNC turning and milling centers could be brought into the house. 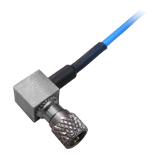 For several years, completely self-developed connectors for Piezo sensors are offered. The miniature connector M3 , M4 , M5, 10-32 , 5-44 , 3-56 are made with fixed and loose nuts and are also assembled with cables. The noise charge and the insulation up to 10 ^ 14 ohms is verified in the own laboratory. 2014 we look back on 25 years of development in the service of customers and we are open to new and innovative steps into the future.